Specialists of the Institute of Physics, Nanotechnology and Telecommunications of Peter the Great St. Petersburg Polytechnic University (SPbPU) signed two contracts for the development and adaptation of technologies for the manufacturing of Chinese electronics. Researchers started the fulfillment of contracts at the beginning of August 2017. Peter the Great St. Petersburg Polytechnic University, a participant of academic excellence Project 5-100 is actively working with Chinese partners due to its representative office in Shanghai. The first contract is aimed at the adaption of "Smart Foil" technology at the enterprises of 'HengE (Shanghai) Medical Technology' Co, Ltd., which produces medical equipment. The "SmartFoil" is a technology developed by the researchers of Polytech for ultrafast cold soldering. The "SmartFoil" consists of nanosized layers, which are applied to the surface of a sensor system. Then the reaction starts with the heat release. During the reaction, the foil heats up to 1,300 degrees Celsius with enormous speed and melts, attaching the sensor to the surface. The temperature is high enough to mount the sensor, but not enough to damage it. 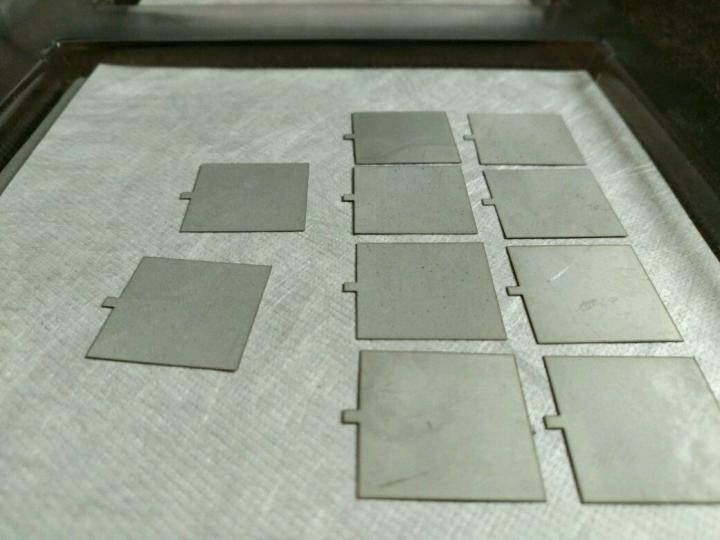 The advantage of the method is that it enables to fasten the elements that can't be soldered the usual way. This technology has already been successfully implemented by several Russian enterprises, optimizing the manufacturing process and increasing the number of products. Negotiations with Chinese partners began in January 2017. The analysis of economic feasibility of this technology for Chinese enterprises was conducted. As a result, a multi-stage agreement was signed, thus the Russian development will be adapted to the production line of the Chinese enterprise. The first stage of the of the contacts will be completed within three months, the whole project is expected to be implemented during a year. Olga Kvashenkina, Deputy Director of the Institute of Physics, Nanotechnologies and Telecommunications SPbPU, notes "Our technology is universal in its basis. But with the transition to a new production with the specificity of the produced equipment, the "SmartFoil" technology can be modified to perform the tasks required for the particular enterprise. This is a serious scientific, technological and innovative work." The second contract is signed with the company Shanghai MiaoSheng Intelligent Technology Co., Ltd and is aimed at developing of ultra-sensitive thin-film sensors based on multilayer nanostructures. This company produces electronic installations, where accurate pressure measurement is very important. Researchers of Polytechnic University produced a prototype of the nanostructured ultra-thin pressure sensor (strain gage). It is an element that reacts to the slightest change in external pressure. This development exceeds the similar sensors available in the market in many aspects, but at the same time, it is much cheaper. Head of the laboratory Self-organizing high-temperature nanostructures" of Institute of Physics, Nanotechnologies and Telecommunications SPbPU Pavel Gabdullin and his scientific group have been developing the sensor structures of high sensitivity parameters for more than 10 years. Scientists created a prototype, which will be modified, and implemented in industry. After a series of tests, the administration of the Chinese company decided that the developed prototype could replace the currently used industrial pressure sensors. "The speed of the sensor's response (the response time) of the existing samples on the market is about 0.5 seconds. Our development works several dozen times faster, its response time is 0.01 seconds. At the same time, the cost of our sensor, created for the industrial manufacturing is approximately two lower than the analogs available at the market, "says Pavel Gabdullin. "We intend to continue developing the strategic partnership for strengthening Russian-Chinese projects to introduce and develop new technologies in the field of energy, electronics, and biomedicine," added Olga Kvashenkina.